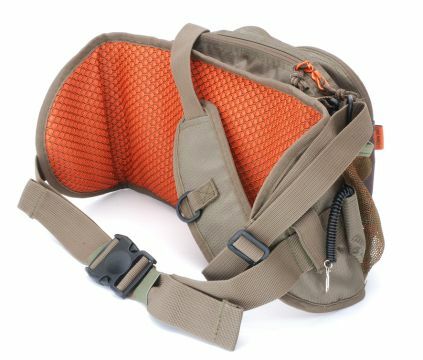 Not only a traditional belt bag but with an adjustable neck cord this can also used at chest height. There are two clips that can be used to attach the bag to wader D-loops. 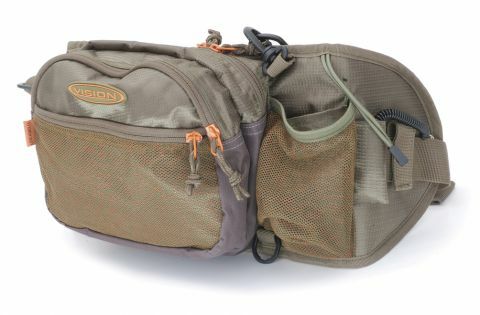 This bag is wide enough on the sides to give support with a heavier load and keep it steady. There's a D-ring in the neck cord to attach your landing net. (Please note, accessories in the image aren't included). A very useful lightweight bag. Two large zippered front pockets. Large zippered mesh pocket in front. 2x plastic clips in front.